Relentless wildfires continue to ravage southern California, and new blazes have broken out, further complicating the task of fire crews. As flames hopscotch over highways, the best efforts of emergency services have failed to prevent hundreds of homes being destroyed. Around 200,000 residents have been evacauted. Hurricane-force gusts have whipped up the fires, with no immediate end to the danger in sight. Firefighters and helicopters sprayed and dumped bucketloads of water to try to contain the flames against a hellish backdrop of flaming mountains and walls of smoke. "These conditions, combined with the heat that is now coming to the area, the dryness, the amount of vegetation in some of the areas that have not burned, makes this still a very threatening environment. "So even as you see inroads being made, we are going to have an abundance of caution. We want to make sure that you are safe and that we don't order people back to their homes or allow people back to their homes any earlier than possible." 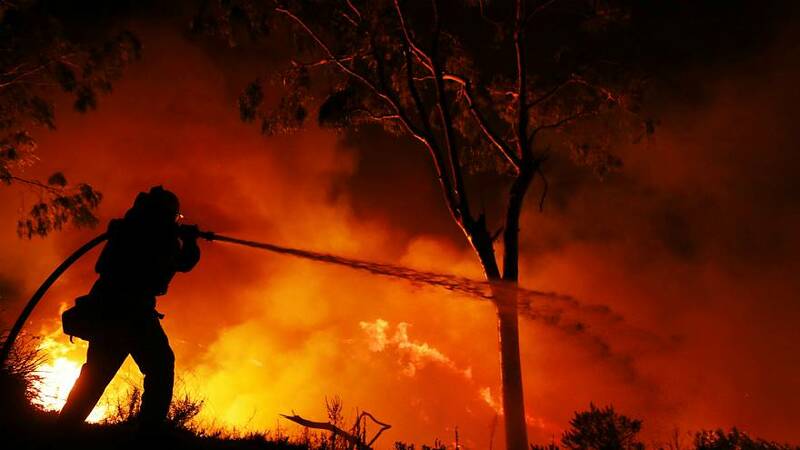 On the frontline, several firefighters have been injured, amid the biggest blazes from Los Angeles up the Pacific coast to Santa Barbara County. And in a new fire, north of San Diego, at least two people have suffered burns.